School is back in session... well, almost anyway! We're in our final week of summer vacation here, and while some moms are breathing a sigh of relief for a much needed break, let's be honest... with the school year comes even more busy-ness. Our lazy summer days are over. In their place, we get that daytime break if we're lucky, and then those after school nights are packed. Piles of homework to be done, after school activities, fall sports... the list goes on. It's enough to have us wishing summer break lasted a little longer, right? In our family, we try to eat healthy, but those busy nights can make it tough... especially when tied in with my husband's crazy work schedule. Oftentimes in the evenings it's just me and the kids, trying to juggle it all. How are we to find the time (and the energy) to prepare a meal that is both delicious AND healthy too? Let's be honest--- how many times have you found yourself just picking up the phone to order in on nights like this? Don't you wish there was a better option? With Revolution Foods, there IS! Revolution Foods was founded 10 years ago by two moms who wanted to change the way that kids eat in America. We are the leading provider of healthy family meals across the nation, serving over 2 million school meals a week over 2 million freshly-prepared meal a week in 1000+ schools nationwide. Integral to our success is a deep commitment to nutrition, childhood education and sustainable supply chains—things we all care a great deal about. Now, we are bringing our recipe for success to stores too, with convenient, healthy solutions for breakfast, lunch and dinner. 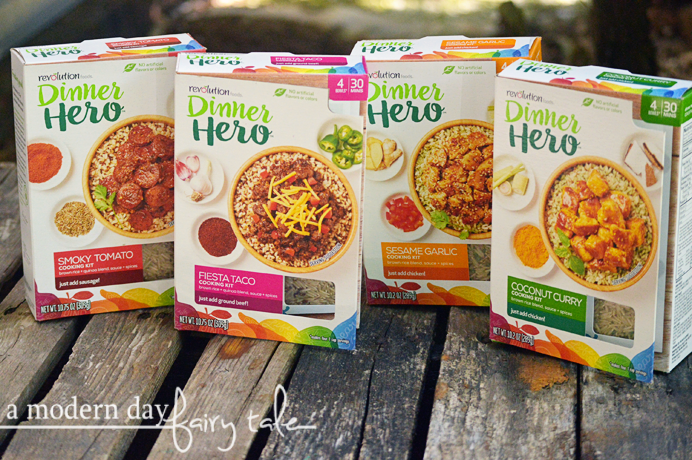 Our Breakfast Hero and Dinner Hero products are a healthy choice for busy parents, but still packed with fun and flavor for the whole family! Sounds fantastic, right? I thought so too, so I was thrilled to have the chance to try them out. They taste great. Typical boxed meals tend to all be about the same flavor wise, powdered cheeses with noodles, just add meat. I'm not a huge fan. These kits offer REAL and unique flavors! 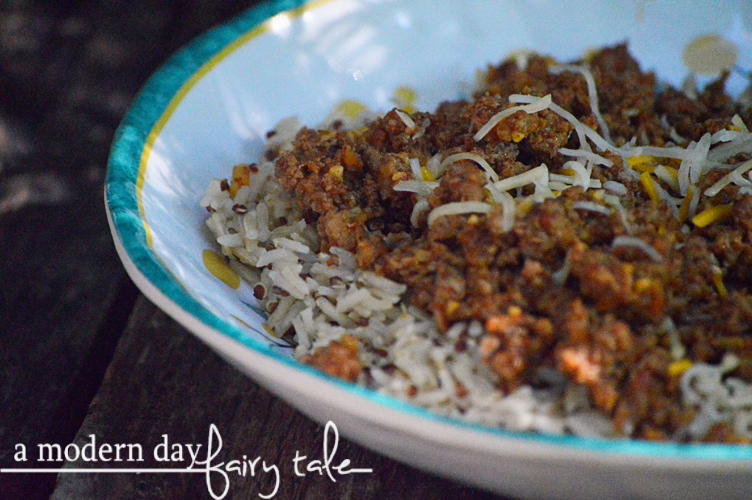 Sesame Garlic, Smoky Tomato, Fiesta Taco and Coconut Curry... sure beats hamburger macaroni, don't you think!? These are flavors the whole family can appreciate! They're healthy! No powdered cheeses here! They instead feature real sauces and chef crafted spice blends! They feature over 40g of whole grains an have no artificial colors or flavors! Flavors compliment a variety of protein types (chicken, beef, pork, tofu, fish & more!) 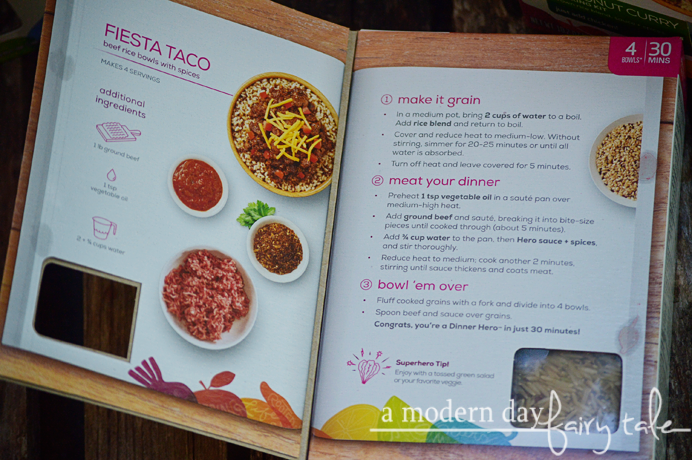 No mom guilt here, these are boxed meals you can feel great about feeding your family! They're easy and convenient! Just three simple steps and you are done! the kits include just about everything you need! Protein of choice, a bit of oil and water are the only extras you'll need! Cook your grains, saute your protein, add your flavor, then build your bowls... a healthy and delicious meal for 4 on the table in about 30 minutes! 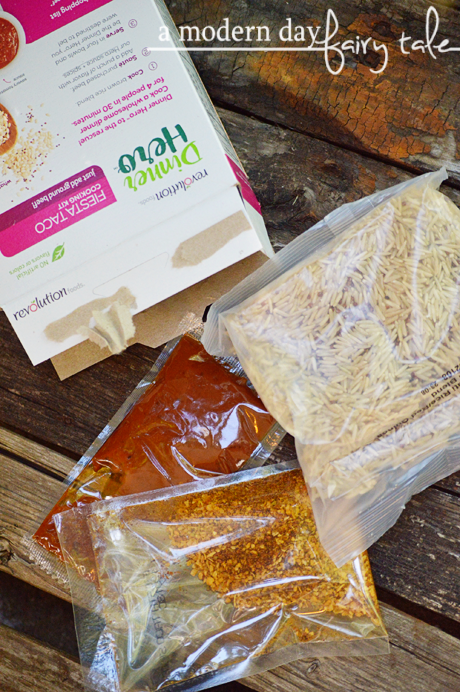 Revolution Foods mission is to build life-long healthy eaters by making family-inspired, chef-crafted food accessible to all, and this kit certainly accomplishes that! From the great home cook who just needs a break on those busy night to the novice who needs a little help in the kitchen, these kits are ideal! Even better? Revolution Foods also donates 1% of our retail sales to schools to help provide fresh meals to their students every day. Amazing! My family loved these kits, and plan on making them a regular in our home! I'd like to try the Sesame Garlic cooking kit. I'd most like to try the Coconut Curry. Color? Orange I guess. The Sesame Garlic kit looks very interesting. These look delicious! Great timesaver.